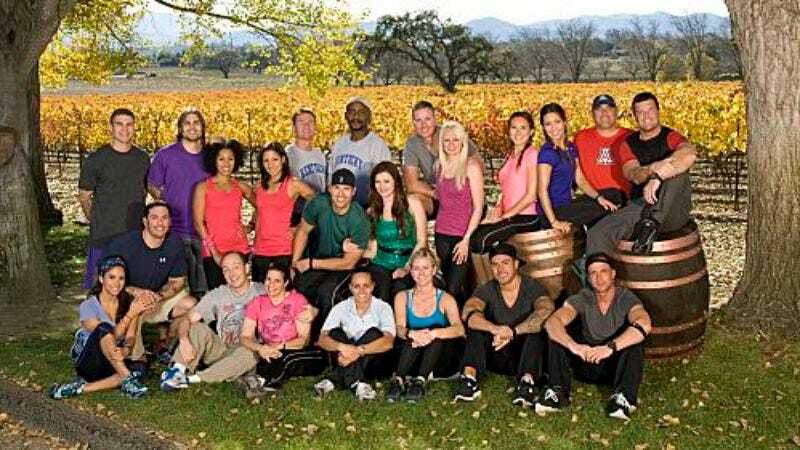 The race is on, which means it’s time to make some snap judgments about the 11 new Amazing Race teams based on nothing more than their bios and publicity stills. Who will annoy us least? Art and J.J., Border Patrol agents. Odds that one of them will spark an international incident at some point during their travels? Let’s say one in four. Brendon and Rachel, this season’s veterans of another CBS reality show, collectively known to their fans and foes as “Brenchel.” Many of you already have strong opinions about them. I didn’t see them on Big Brother, so I do not. Yet. Dave and Cherie, mrried clowns—or “ambassadors of laughter.” This could go very badly. But if not, and they turn out to be entertaining, maybe next season will offer up some dating Juggalos. Dave and Rachel, married couple. Yes, this season has two Daves and two Rachels. I’m sure this won’t be confusing at all. Elliot and Andrew, twins. One’s a rocker, the other’s an athlete! If TAR doesn’t work out for them, I’m sure NBC would be happy to develop a terrible sitcom about them. Joey and Danny, Team Jersey Shore. Joey gives his nickname as “Fitness,” but I don’t believe anyone actually calls him that. “Doucheness,” I’d believe. Kerri and Stacy, cousins. I have nothing to say about them yet. Mark and Bopper, friends from Kentucky. Possibly being pursued by Raylan Givens. Misa and Maiya, sisters. Trying a little too hard to look “wacky” in their publicity still. Nary and Jamie. ederal Agents. I hope they work for the same federal agency as crazy Phil from Survivor: Redemption Island. Vanessa and Ralph, dating. Odds that they’ll hate each other by the end of the Race? Let’s be generous and say three to one. Which of these teams will transcend these flippant first impressions? Let’s find out! The season begins in Santa Barbara, California, with a subtle promo for Phil Keoghan’s documentary about his bike trip across America for charity (The Ride, which debuted on Showtime last night), as Phil leads the teams in a bicycle caravan to the starting line. Once they arrive, the teams are instructed to find their first clue in the basket of one of 100 balloons tethered in a field. The twins are the first to find the clue, which instructs them to fly to… Santa Barbara? Where they already are? Ah, but wait! Their destination is actually Santa Barbara, Argentina, and the first six teams to reach LAX will be on the first flight out. The most amazing thing about this first challenge is that it takes sisters Misa and Maiya nearly an hour and 45 minutes to find their clue. That’s over a minute per balloon, by my calculations. 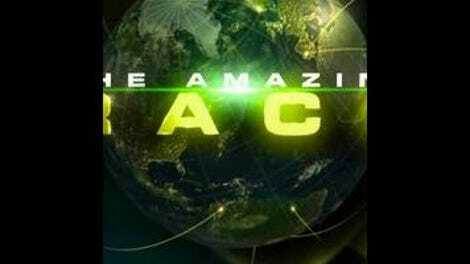 It’s also our first hint that Misa and Maiya may not be up for the challenge posed by The Amazing Race. But you know who is definitely up for it? Bopper! YEAAAHHHH, BAAABY!!!! GIT ’R DONE!!!! If Raylan Givens is looking for this guy, he’s not going to have any trouble finding him. He’s from Kentucky, where they do it loud and proud! I can’t say for sure how proud he is, but I’ll vouch for him on the loud part. The first Roadblock awaits in Argentina, and it’s an early indication that the clue-writers may be a little more devious this season. The person choosing to do the Roadblock is the one with a good sense of direction… which means the other member of the team has to jump out of a plane in order to be found by his or her partner. I like it, although in truth, a good sense of direction doesn’t actually seem to be required. Being able to drive a stick-shift is a requirement, however, which is bad news for self-proclaimed guido Danny. Not recommended: driving into a sand trap, as professional golfer Maiya is probably accustomed to doing. The second task is somewhat less exciting, but suggests that attention to detail may be key this season. Each team must make two sets of 60 empanadas, being sure to accurately replicate the “specific dough-crimping patterns” for each variety. Although the Border Patrol is first to the task, they’re not particularly attentive to the instructions, costing them their shot at the Express Pass. Team Big Brother, which I don’t hate quite yet, is also in the running, but in the end, it’s Dave and Rachel who are first to the mat. Despite the apparent spoiler in the episode title, the clowns aren’t weeping at the finish line. Last place comes down to the sisters and Team Jersey Shore, and sadly, Misa and Maiya have a couple of blunders left in their race. First, they have to run back and find their bags, leaving an opening for the guidos. Even so, they’re still in position to avoid elimination, and are actually within sight of Phil at the mat, but somehow don’t see him. (This earns a particularly puzzled eyebrow raise from the Philiminator.) Joey Doucheness and Danny seize the opportunity, while Misa and Maiya are eliminated in one of the strangest endings in Race history. Overall, I thought this was a strong start to the season. We saw very little of some of the teams (notably the twins and the Federal Agents) so it may be a little too early to pick a rooting interest—but so far, I’m getting a good vibe from Kerri and Stacy. Dating couple Vanessa and Ralph may be a pleasant surprise. I expected to like Mark and Bopper—and I do kind of like Mark, but Bopper may drive me right up a tree sooner than later. Pretty sure I’m not a fan of the Jersey boys or the Border Patrol, but there’s still plenty of time for them to win me over. Football season is over, and the show still started more than 20 minutes late in the Eastern and Central time zones. We TAR fans just can’t catch a break. Bopper: “This is the first time I have ever made a piñata!” Dumb redneck or secret comedy genius? You decide. I’m pretty sure the preview gave away way too much about which teams are going to go deep into the season, but I deliberately tried not to pay too much attention to it.